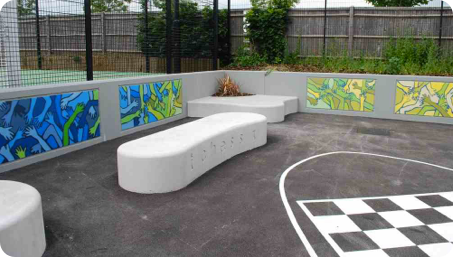 We can work with groups of young children to generate ideas and incorporate them into a professionally finished design. 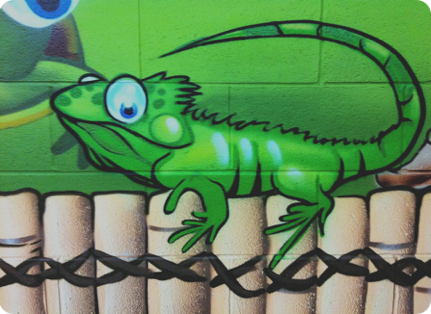 We can match colours to be harmonious to a space and compose our murals to give maximum impact. 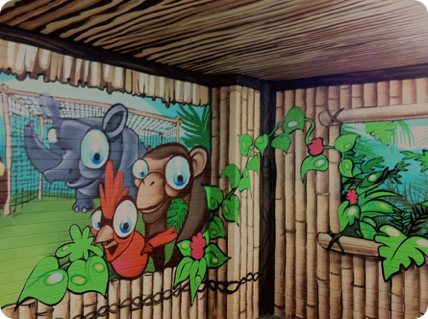 We will work with you to sketch out concepts then digitally design a finished concept prior to painting. 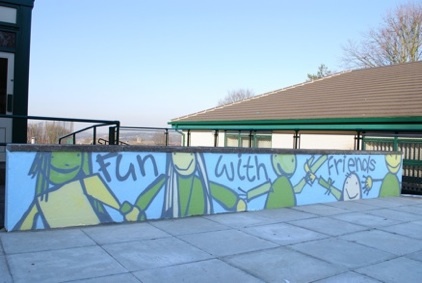 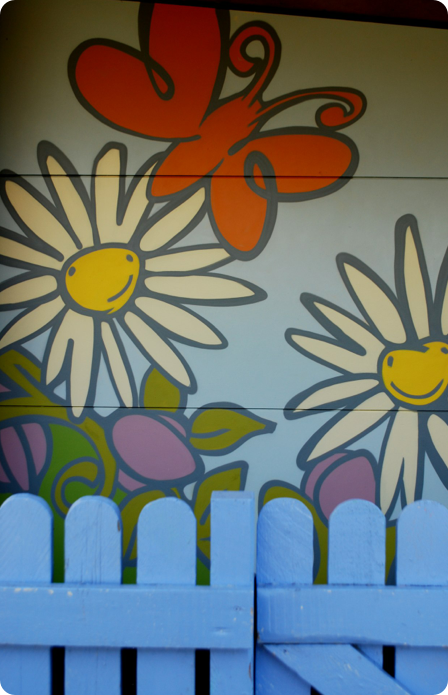 Our bespoke murals help to create colourful, playful and visually stimulating environments for young people. 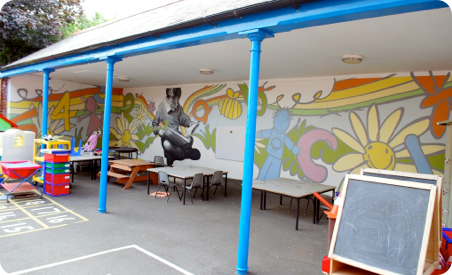 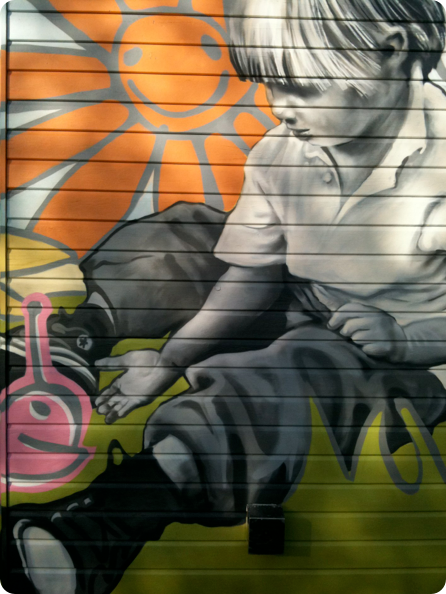 Art for playgrounds in schools, nurseries, and play centres. 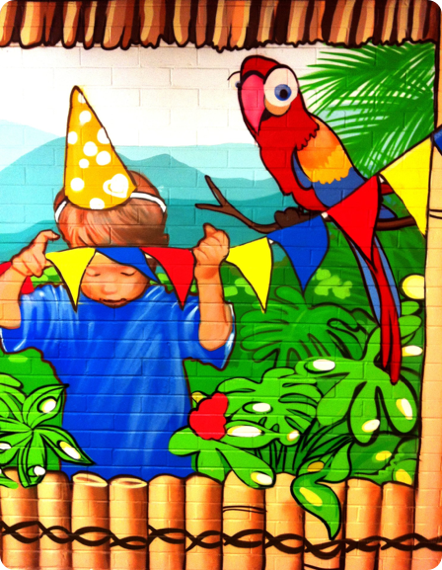 Create a colourful and stimulating environment to learn and play in.